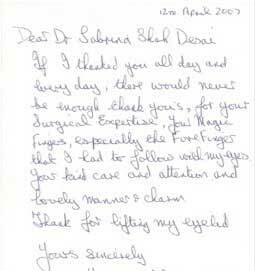 Testimonial | Aesthetic Treatments in UK. © Perfect Eyes Ltd. All rights reserved. Privacy Notice. Terms & Conditions.